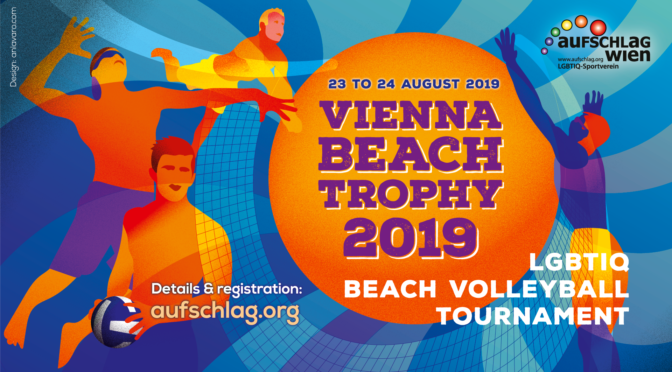 Our famous Central Europe Beach Volleyball Tournament, the Vienna Beach Trophy, will take place on August 23 and 24, playing on Saturday 24. 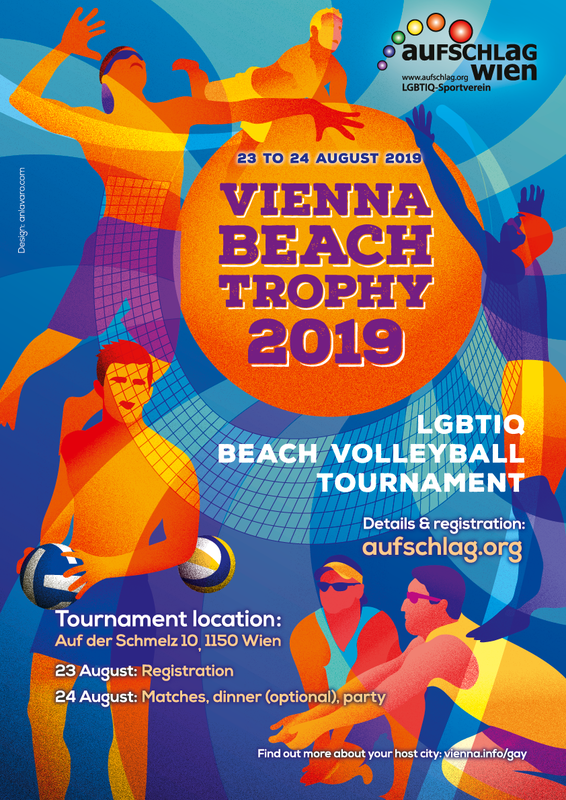 The Vienna Beach Trophy has become one of the biggest gay and lesbian tournaments in Europe played by beach rules. A team is two persons. Play will be on up to eleven beach volleyball courts at Beachvolleyballzentrum Schmelz. 7.00 p.m. to 10.00 p.m.
Aufschlag Wien. This is not a licensed event. If you have any questions about this tournament or the registration, please mail to vbt2019@aufschlag.org.